The staff were wonderful and told me this was my home while I was here. They even took us on a tour and made special arrangements for us. It is extremely cheap hot showers, spacious rooms. Centrally located. 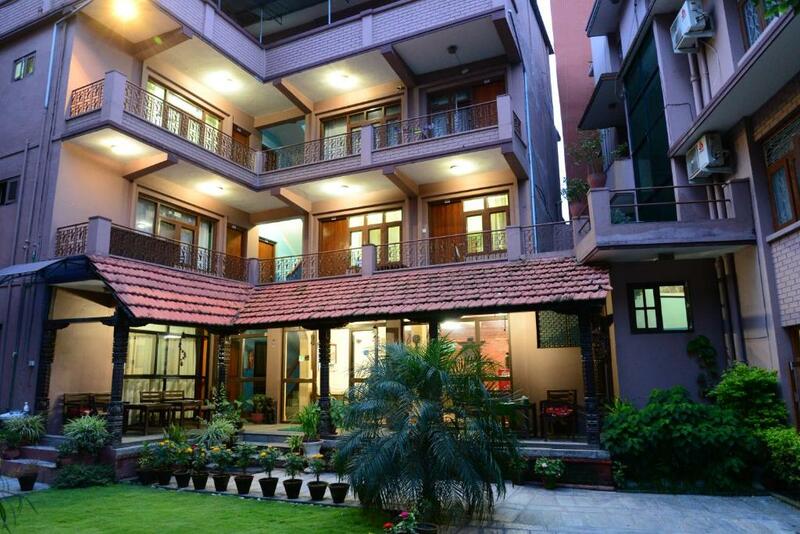 Great location, mid-way between Durbar Square and Garden of Dreams. Also, it is at the dead-end of a spur off a pedestrian street, so almost no traffic noise. And it is good value for money. The staffs were really helpful and the location is very good. Quiet even though in the center of tourist area. Neat and clean. Warm and welcoming staff. The room in which I stayed was hill view. The room was neat and clean. Bed sheets were clean. vegi food in the hotel was ok. A hotel value of money. I requested for king bed butwhenbi reached the hotel . they told me they don't have king bed . Very nice hotel staff. Deveraj and his team are very helpful and can organise anything for you at a moments notice. My plans changed and within 5 minutes we organised a 14 day trip. The location is great, the WIFI was adequate, the showers were hot and the breakfast very fulfilling. Location of hotel is good, nearby many restro bar, close to pashipati nath temple, garden of dreams, airport. With popular tourist destinations like Durbar Square and Swayambhunath Temple just 1.9 mi away, Hotel Horizon is conveniently located and offers a 24-hour front desk and free Wi-Fi throughout the property. The property offers luggage storage, car rental, currency exchange and laundry/dry-cleaning facilities. Access facilities for the physically challenged are also present. Guests can approach the tour desk for travel related assistance, avail of the babysitting service or relax in the garden or library. The property is located 4.3 mi from Tribhuvan International Airport. The Narayanhity Palace Museum is 1,950 feet. The Garden of Dreams is barely 1,300 feet away. Each fan-cooled room features a seating area with sofa and a cable TV. The attached bathrooms have shower facilities. The resident Spice Garden Restaurant & Bar and Horizon Cafe serves local and Indian fare. Guests can choose from a host of room service options. When would you like to stay at Hotel Horizon Kathmandu? This fan-cooled room features a seating area and is equipped with balcony and a flat-screen TV with satellite channels. The attached bathrooms have shower facilities. This air-conditioned double room has a fridge, a satellite TV and a mini-bar. The private bathroom is equipped with a bathtub and hairdryer. This fan-cooled room features a seating area and is equipped with a balcony and a flat-screen TV with satellite channels. The attached bathrooms have shower facilities. 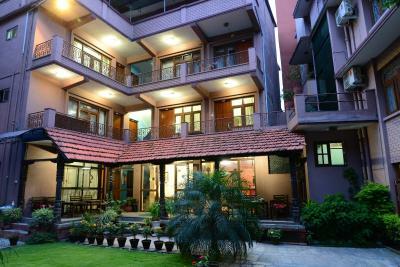 Hotel Horizon, budget hotel in Nepal is located at heart of the Kathmandu city in prime touristic area, Thamel but secluded enough to escape the noise in peaceful and quiet environment from where you can reach up to shopping centers, malls. House Rules Hotel Horizon Kathmandu takes special requests – add in the next step! 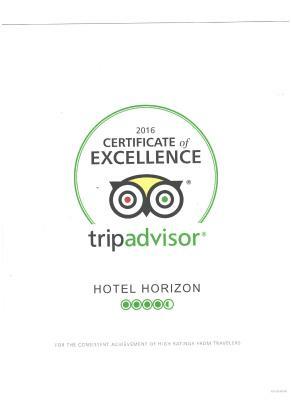 Hotel Horizon Kathmandu accepts these cards and reserves the right to temporarily hold an amount prior to arrival. Please inform Hotel Horizon Kathmandu of your expected arrival time in advance. You can use the Special Requests box when booking, or contact the property directly using the contact details in your confirmation. Hard to complain about a lot when a single room only cost around $10 per night, it may not be luxury but it is more than suitable. Hotel needs to be updated. It is old house converted into hotel. Located centrally. Great staff. Spacious rooms, warm and with good bathroom facilities. This place is super convenient in terms of location. The rooms are old yet spacious and the showers are hot. The staff are always helpful. Basic hotel but good location and very friendly staff. - no hot shower in my room (hello it’s winter) - no heating (hello it’s winter !! ) - breakfast is very not good - the single room was dark and humid, and need to be painted again - I did not see any other guests, it’s a dead hotel that charge too much for what they offer. They could update and refresh the rooms a bit.